The Hammer Head Anchor Gym is a wall mounted, modular resistance band training station that was developed to give sports, fitness and rehabilitative professionals the ability to utilize all types of resistance bands, suspension straps, large loop bands, Rotational Bodyweight Trainers™, and stretch straps to their full potential. The Hammer Head Anchor Gym offers a compact, space-saving modular set-up perfect for physical therapy offices, small commercial gyms and home gyms! 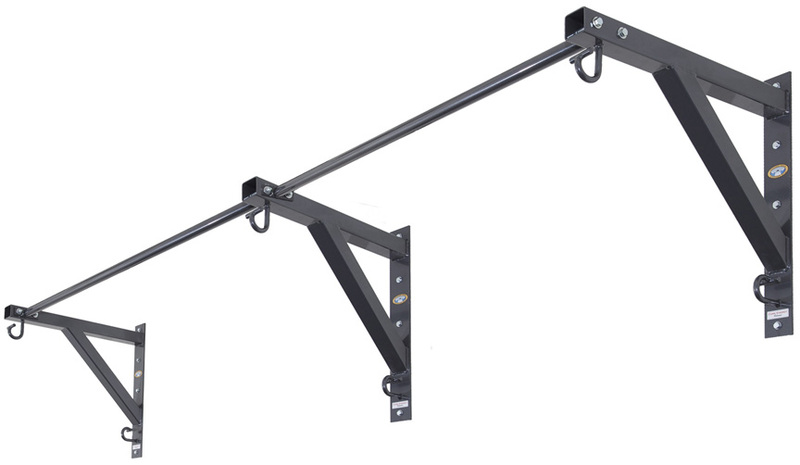 The Hammer Head Anchor Gym PULL UP BAR is the perfect way to get in shape. 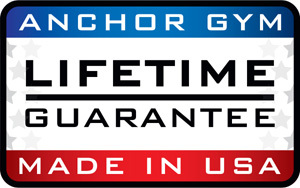 With the Anchor Gym patented hooks, it offers hundreds of exercise options and plenty of wall clearance for suspension training, wide grip pull-ups, and close grip chin-ups. The AGPUB Anchor Gym wall mounted pull up bar is great on its own OR add some Anchor Gym H2 Units underneath (sold separately) to create a complete functional training station. Need to make a large purchase of gym equipment for a university fitness room? Contact an Ironcompany.com strength equipment specialist today at 1-888-758-7527 or email quotes@ironcompany.com. Anchoring Points: With four different anchoring points, the Hammer Head Anchor Gym PULL UP BAR allows users to perform hundreds of resistance band and suspension exercises, and dozens of dynamic stretches. 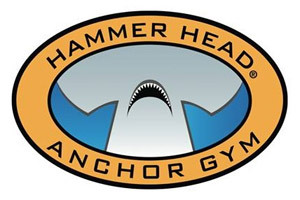 The Hammer Head Anchor Gym's anchoring system is a versatile platform that gives fitness and therapeutic professionals a powerful set of tools on the training floor. Hammer Head Safety Hook: The Hammer Head Anchor Gym PULL UP BAR features the Hammer Head Safety Hook. With its t-bar barrier tip, the hook allows bands and straps to be pulled from every angle without the possibility of disengaging. Users can exercise with confidence that their bands and straps are securely anchored. The hooks rounded shape was designed for fast, easy and smooth transitions. The neck of the hook is reinforced for added strength to accommodate extra heavy resistance bands, suspension straps and stretch straps. There are a total of 4 Hammer Head Safety Hooks - two at base of wall brackets, and two at the ends of the pull-up bar. Made of all steel components, the Hammer Head Anchor Gym is a space saving powerhouse capable of supporting up to 300 lbs. of resistance! Resistance Bands: The Hammer Head Anchor Gym PULL UP BAR can be used with all types of resistance bands. Personal trainers can use medium to heavy bands to perform core crunching trunk rotations, chops and presses. Therapists can use the Hammer Head Anchor Gym for a wide range of therapeutic exercises that, heretofore, were not possible. With the Hammer Head Anchor Gym, it's as simple as looping a band over a "Hammer Head Safety Hook" and pulling. Finally, the days of attaching bands to everything and anything are over. Anchoring and Threading Bands: With a total of 4 Hammer Head Safety Hooks, the Hammer Head Anchor Gym PULL UP BAR provides numerous options for anchoring resistance bands, suspension straps and stretch straps. For most exercises, especially those without vigorous dynamic movements, it is sufficient to simply loop the band over the hook. To increase safety, the user has the option of wrapping the band around the hook. This will form a closed loop around the hook providing a secure and safe anchor. Wrapping is recommended when performing vigorous dynamic exercises. 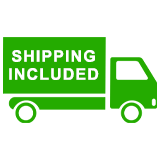 NOTE: The Hammer Head Anchor Gym PULL UP BAR is designed for use with rubber or latex resistance bands, and suspension and stretch straps made from cotton, nylon or polypropylene. Do not fasten resistance bands with metal clip hooks or other hooks made of hard materials (e.g. carabiners) onto the Hammer Head Safety Hooks. This has the potential to damage the powder coating on the hooks and cause premature wear. 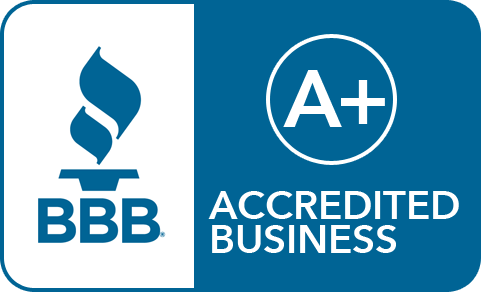 Installation: Includes hardware for most standard installations. 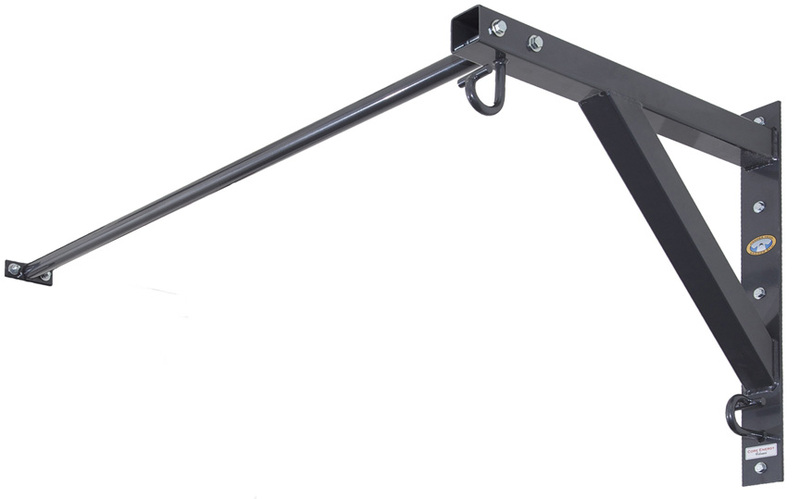 The Hammer Head Anchor Gym is mounted to load bearing wall-studs using wood lag screws (standard) or is mounted to concrete or block walls using anchor sleeve bolts (optional upgrade). It is recommended to hire a professional to ensure proper installation to wall.